Lanmark Controls offers a family of field-proven laser marking software products designed to support the industry’s most popular controller cards – for improved productivity and performance. 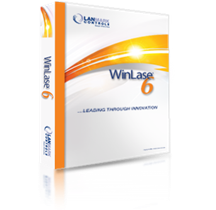 Completely redesigned, and built on Microsoft .NET, WinLase 6 seamlessly integrates with Lanmark’s high-performance control boards and is backward compatible with the LEC-1. 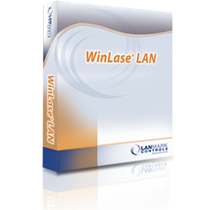 For OEMs and integrators targeting smart factory environments, WinLase LAN communicates with smart controller cards via Ethernet and the Lanmark LEC-1 — allowing you to control an array of smart laser marking devices with one computer. A robust, high-performance laser marking software solution that simplifies management of pulsed fiber lasers, which require Serial Script Text files for laser control, and supports PCI-based Scanlab RTC/4 and GSI HC/3 controller cards. A low-level dll that allows customers to write custom user interfaces and talk to the Lanmark control boards.